Downtown Disciples in Des Moines, IA showing their Pride. 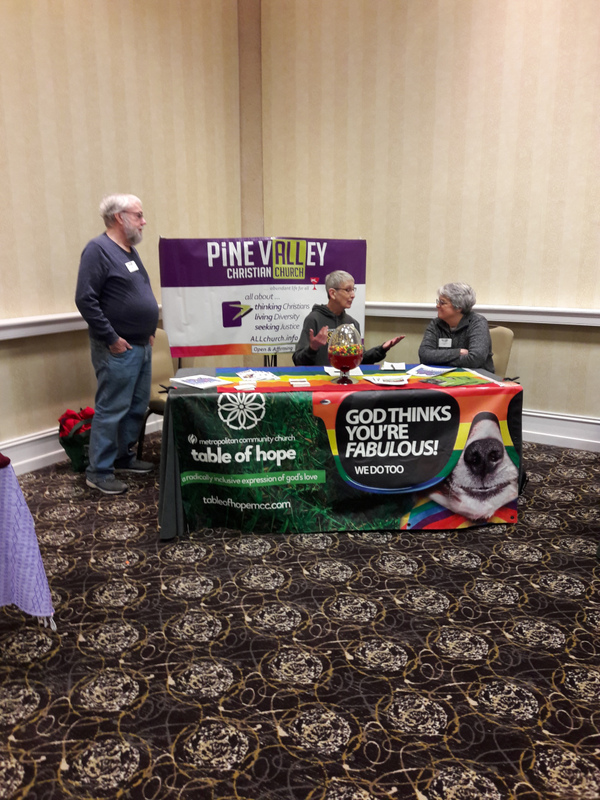 Pine Valley Christian Church forwarded this article to AllianceQ about the church’s participation in the Midwest Bisexual Lesbian Gay Transgender Asexual College Conference. Wichita State University hosted the 27th annual Midwest Bisexual Lesbian Gay Transgender Asexual College Conference (MBLGTACC), February 15-17, at Century II Convention Center. Over 1,000 college students, staff, and faculty attended this weekend of learning and coalition building. To date, MBLGTACC is America’s largest and oldest continuously-held conference for queer and trans+ college students. And it remains proudly student-run. 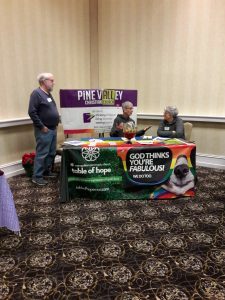 Pine Valley Christian Church (PVCC) shared an exhibitor table with Table of Hope Church on Saturday and Sunday. Pine Valley Christian Church at the Midwest Bisexual Lesbian Gay Transgender Asexual College Conference. We were able to promote an Ecumenical Communion service on Saturday afternoon with Rev. Jackie Carter, Senior Pastor at Table of Hope, presiding. The conference also offered a Shabbat service Friday evening. Additionally, we promoted a special service of baptism, “Emerge: Being (re)born into your authentic self.” The baptism was conducted by Table of Hope and hosted by PVCC on Sunday afternoon. Our message to those who participated: “No matter your belief or what church you do or don’t attend, all are welcome to attend or participate in this community baptism service. Any who are transgender will have the opportunity to be baptized using your new name.” The baptism service was “exceptionally special and quite moving,” according to Connie Dietz. 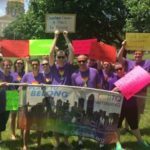 There is talk of making “Emerge” a part of Pride Week 2019 in Wichita. Stay tuned for details. Previous PostOver 50 People from Seven States Attended Trainings in March!